The sun is nowhere to be seen but I feel sweat myself because of humidity, a ticket collector of the theater is opening the door for me to enter the room. He leads me upstairs along a dark narrow staircase like that in the movie “Totoro”. It feels like many soot gremlins are there. That stairs are made from wood and make a groaning noise. I feel a little scared and anxious. Up the stairs, a very messy dirty room is there. It smells like very old library. That is a projection room and one projectionist is there. He extinguishes a cigarette and says “Let’s get out of here. It’s too dark and cramped to talk.” He is the manager of the theater. Atago Theater is one of the oldest family-run movie theaters in Kochi and was built in 1955. 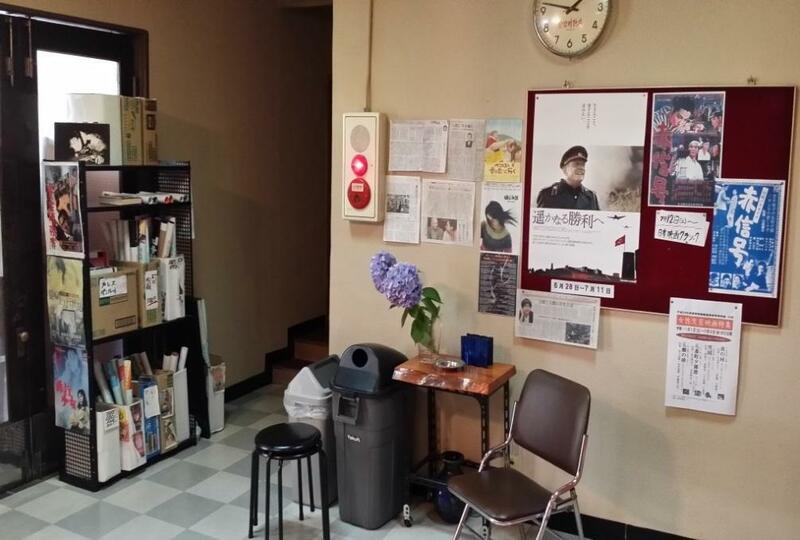 People gather together to watch movies, cry together, share feelings in Atago Theater. It means one community is still there. In ancient Greece, theater was a holy place to watch tragedy, and cry together with their neighbors. People believed they shed tears so that they could pass waste minerals out of the body and people gathered there used to have community. Today, there are more theaters than in old days. However, people who gather do not know each other and they seem like they do not even care who is sitting around them. They have no longer “community”. 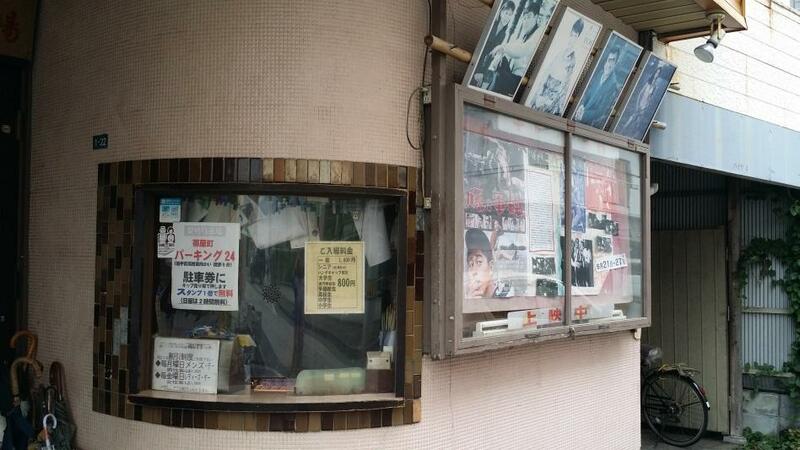 In the 1970’s, a lot of small movie theaters were opened in Japan. These theaters are called “Mini Theaters”. In 1968, Etsuko Takano who was a film producer and film activist opened a mini theater in Tokyo. She picked up master films from all over the world that were not shown in big movie theaters. 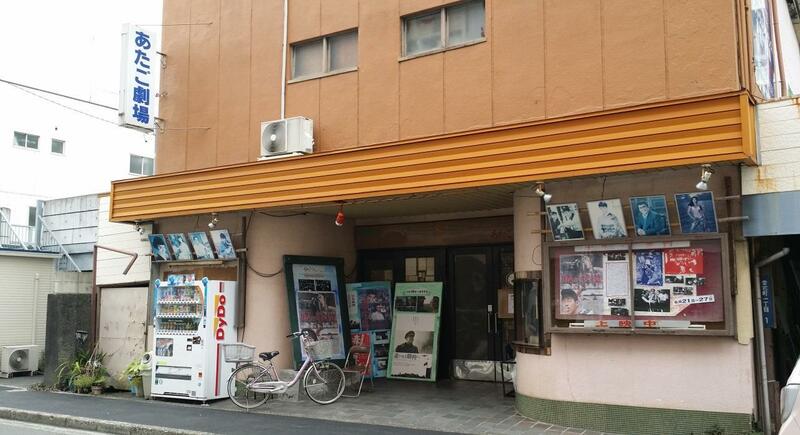 It is said that the mini theater boom in Japan started from this theater. The number of mini theaters increased in many parts of Japan. At that time, they showed some European films and a lot of people went to see them. But, late 1990’s a lot of multiplexes opened. Mini theaters could not get customers than before. So, many theaters had no choice but close their doors. Atago Theater was also one of these theaters. But, they hung on through the hard times. Atago Theater opened in 1955 in Atago street, next to Atago hospital. This movie business started by manager’s great-grandfather, so he calls it his “Family Business”. In 2000, first multiplex in Kochi “Toho Cinemas” opened. After that, some mini theaters in Kochi closed. The manager of Atago Theater also thought about closing. Management was very disadvantaged then. However, it was hard for him to make decision to end this family business in his generation. He could not give up when he thought about his ancestor who kept this family business and community that this theater built up. Still now, management is hard. But there is one thing that he decided. “I keep this theater as long as I can” he was saying that while he flicked cigarette ash on the ashtray. Recently, Atago Theater has been showing many independent films which are not shown in multiplex. For example, now Atago Theater is showing an American film called “Any Day Now”. This film won many independent film awards. Atago Theater is also showing Japanese old master films so that young people can have opportunities to watch these movies. I was standing right front of the building and looking at a film poster of Japanese old movie “豚と軍艦” which was they were showing at that time. Then, one elderly woman came out from the theater and looked at me, “Omoshirokatta!” she said. She said that with very clear voice but I was too surprised and I nearly missed it. So I said “Excuse me?” then she said “Kigekiyatta! Ei kigekiyatta!” with big smile. That’s nice. We really need to keep in touch with local community like this. Too bad, it’s not going on that way. We all need to patronize such theaters, and this one in particular. Even if I can’t understand old Japanese films’ dialogue very well, I want to see these important and rare films.